Hello Folks! 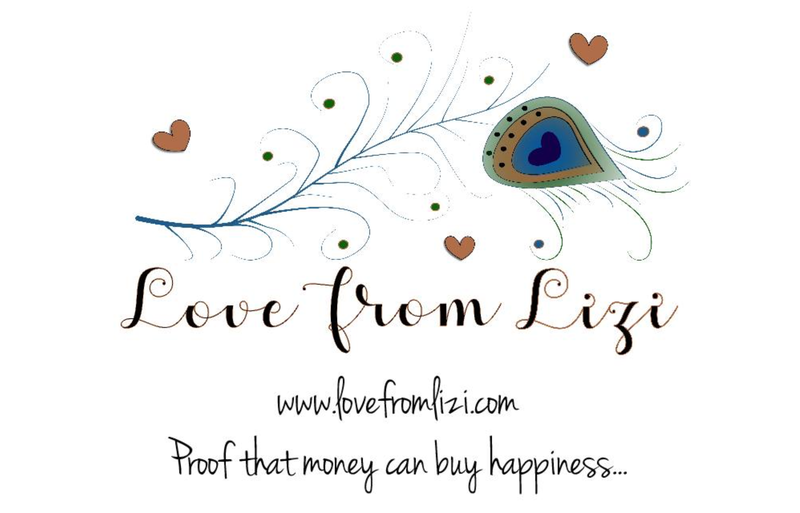 Scott here with my unboxing of the Love From Lizi October Card Kit. Lizi refers to this as the “Hello Autumn” kit and it is full of fall colors, images and sentiments. As usual, this kit is over-loaded with supplies and a couple surprises for us to play with! Our card stock is 8.5″ x 11″ letter-size card stock in Burgundy Red, Peach, Sky Blue, Chocolate Brown and Vanilla, and we get four half-sheets (8.5″ x 5.5″) of specialty card stock in Gold Mirror, Burnt Orange, Chocolate Brown and an Antique Gold Pearl. This month sees the return of Lizi’s 12″ x 12″ cut apart sheets. Four big sheets of fun! Our first cut-apart sheet has six 4″ x 6″ portrait panels with a few large sentiments and a great stripe pattern on it’s back side… wait a minute… there’s a pink stripe in there too!! Our second sheet has six 4″ x 6″ landscape panels. Here we see a little ‘pumpkin spice’ sneaking into our sentiments and the back features a lovely multicolored flower pattern. The third cut-apart sheet has twelve 3″ x 4″ portrait panels with lots of sentiments and images just ripe for fussy-cutting! And that burgundy and black houndstooth pattern on the back of this sheet is quite appealing and very Autumnal! And the last cut-apart sheet has nine 4″ x 4″ panels with more sentiments and images and that nice “Hello Autumn” sentiment on faded newsprint. The reverse side of that sheet sports a very pale pink pattern of interlocking circles… I’ll concentrate on the front! Also included with the card stock in this kit is eight 6″ x 6″ double-sided pattern papers. There are some great plaids and stripes and acorns, flowers and leaves. I love that black pattern paper with the flowers and am thrilled that Lizi gave us TWO of those in this set. The reverse side of our pattern papers continues the fall theme with more leaves and stripes, a random triangle pattern, a black and white gingham, some polka dots and a Navajo blanket pattern. I love the red, and black-and-white patterns go with everything! Our peel-offs this month are Copper Mirror! REALLY LOVELY! And we are treated to another 5′ x 7″ embossing folder this month! This folder features a knitted pattern in blocks and stripes and is large enough to cover the entire front of most any card! That brings us to Lizzi’s Hello Autumn stamp set. This is obviously a sentiment laden stamp set with 10 Autumnal sentiments in a lovely script font. There are a number of images too (some attached to the sentiments) like the tea cup, an umbrella, a pumpkin and 5 tiny leaves that would be great for wreaths! And finally that bring us to our embellishments bag! Or, the Goody Bag as I like to say! Once again, Lizi has some surprises for us this month! Our ribbon bundle includes a meter length of 1.5″ wide crushed silk burgundy ribbon, 5/8″ wide ‘tea towel’ ribbon, a 1/4″ metallic copper ribbon, and a 1/5″ wide burlap and copper ribbon in a chevron pattern. SPARKLY! we also get some lengths of twine in blue and natural. I have to admit I miss the lovely cardboard spool our ribbons came on last month!! LOL! Then, from the left, we have our sample pack of “Hello Autumn” sequins in oranges and dark blues, brushed gold, white, and YES! There are a few soft pink sequins in there too! We get a pack of five skeleton leaves in colors! I’ve only seen these skeleton leaves in natural color so these are very interesting! We get a silver leaf, two copper leaves and two gold ones! And here is the item I’ve NEVER seen before… Bark leaf die-cuts! Six real bark ‘leaves’ in natural colors. VERY INTERESTING!! Those are complimented with our two dies this month. A Chestnut Oak leaf die and a Maple leaf die – both of these are fairly large dies! For another bit of nature, we also get six wood slices. Cut on a bias, they show off the interior wood as well as the outer bark. I don’t know whether to start a fire or make some cards! LOL! We do get a strip of small iridescent crystals – more than 50 here I believe! And not to forget our bottle of Nuvo Crystal Drops in Ripened Pumpkin. Looks just like a can of Libby’s Pumpkin! And, if that weren’t enough…! We ALSO get this ginormous package of ephemera pieces! There are more than 60 pieces in this pack and I felt like I needed to lay them all out for you (and for my reference too!) There are flowers and pumpkins and mushrooms and leaves. Tags and labels and feathers and wreaths and even a pumpkin pie! YUM! I would like to know when the Starbucks ubiquitous seasonal Pumpkin Spice Latte became an acronym!! (PSL) !! Personally, I like my coffee to taste like coffee – not a pumpkin pie! A touch of mass hysteria there as far as I’m concerned!! LOL!! SPECIAL NOTICE! SPECIAL NOTICE! SPECIAL NOTICE! SPECIAL NOTICE! Thank you so much for sharing your time with me here. I hope I was able to show you this plethora of supplies in a little more detail. Please share this post with anyone you feel might be interested, keep an eye out for my 10 Cards 1 Kit video for this month, and, as always, Happy Crafting!